What better than a pig as a friend in Minecraft adventures? Pig Companion 1.7.2 and 1.7.10 gives us the opportunity to tame a pig giving seeds. It will be our new partner, that will follow us and defend from enemies. The pig can be equipped for battle with only one hull, which may be iron, gold or diamond. 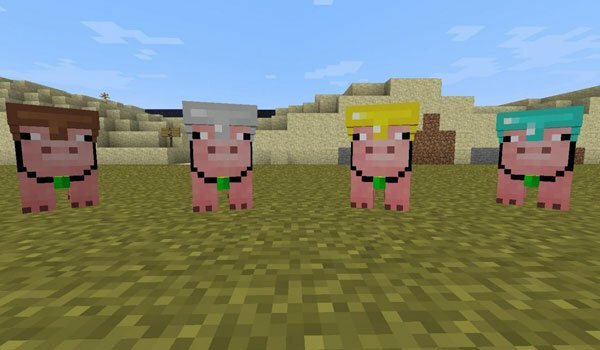 How to install Pig Companion Mod for Minecraft 1.7.2 and 1.7.10? What about Chicken companion next?